Scientists are trying to revolutionize potatoes and, in the process, cure the tubers’ depression, the result of generations of inbreeding. You probably have seen sprouts, or eyes, grow out of potatoes. That’s how farmers plant new potatoes—by cutting up old ones and letting those eyes germinate into new plants. Generations of cloning means that harmful genetic mutations remain in the genome, but the plants have a buffer against that—most varieties are “tetraploid,” meaning they have four sets of chromosomes. If there’s a bad mutation on a gene, there are presumably three other working versions of the gene. A team of scientists meeting in 2016 at the University of Wisconsin-Madison proposed a new idea—reinventing the potato as a diploid crop, one with two, rather than four, sets of chromosomes. 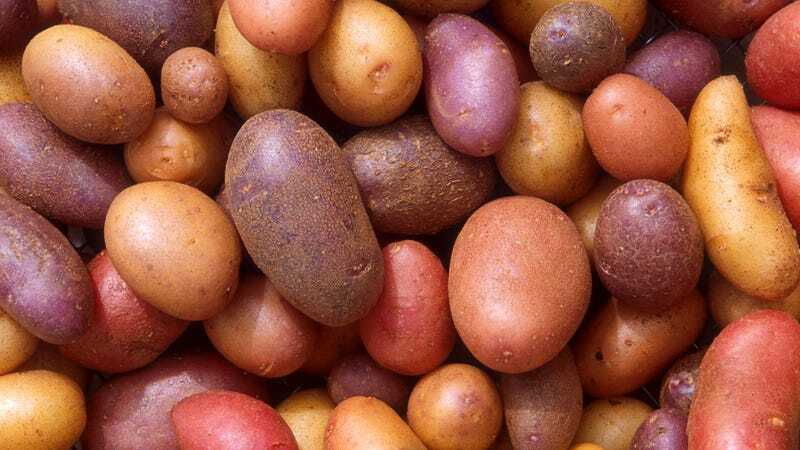 The researchers would then be able to selectively breed (and then inbreed) the resulting potatoes as is commonly done with other crops, and create fixed lines of potatoes based on color, shape, texture, and other properties that are easier to control. Teams of researchers are now working to realize these diploid potatoes. But one issue is that these diploid potatoes would expose generations of inbreeding. So the team behind the newest paper, composed of researchers from China and Singapore, identified 344,831 potential mutations upon sequencing their potatoes. Half were rare, and 27 percent were already present in the potato’s ancestral plant, a wild potato species called Solanum candolleanum. These harmful mutations varied from minor things like stunted growth and lower reproductive fitness to major things like the plant’s death.